What If your phone gets virus prompt when using third-party applications? 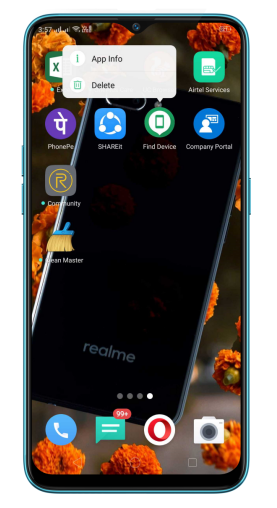 If your phone gets prompt of virus when downloading, opening or using some third-party applications, it may because you have downloaded this application in some non-official channels. To protect your phone from virus, you can delete the correspondent files according to the prompt and cancel the prompt. 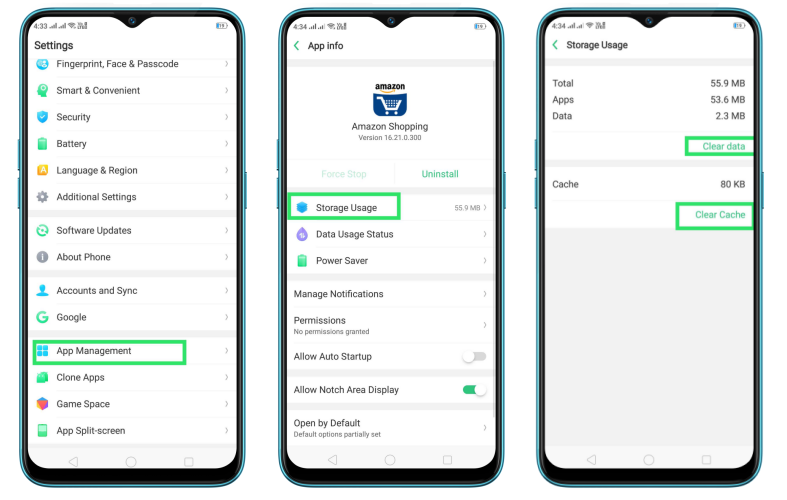 For ColorOS 5.2: Go to [Settings] > [App Management] > find then find application which has caused the virus prompt, click [Storage Usage] > [Clear data] & [Clear cache]. If prompt still comes to you, you can uninstall the application and download it again on Google Playstore. To uninstall the application, go back to Google Play Store and uninstall the app or just simply press the app on the homescreen and click delete or "x" when prompted.